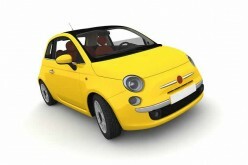 The Perfect New Car For The College Grad? 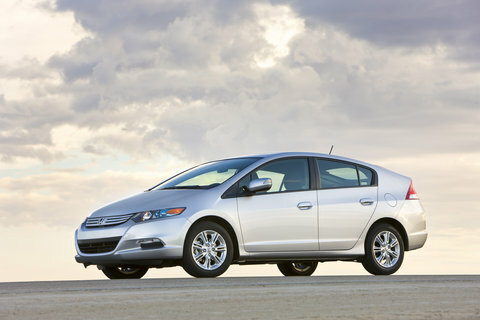 The 2010 Honda Insight: Will this be the car that green friendly grads embrace in coming years? The price is certainly right! This coming Spring an all new Honda model will go on sale, a hybrid car with a familiar name: the Insight. For Honda fans, the Insight name is familiar, having graced the first gas-electric hybrid car to ever be sold in the U.S., the first generation Insight, a two-seater that was long on fuel economy but short on good looks. Honda kept the Insight around for several years but eventually replaced the model with the Honda Civic hybrid. However, the Civic hybrid hasn’t sold as well as its nemesis, the hybrid Toyota Prius, forcing Honda to go back to the drawing board and come up with a new model. In advance of its global debut at next month’s North American International Auto Show in Detroit, Michigan, Honda is already sending out photographs of what the car will look like. 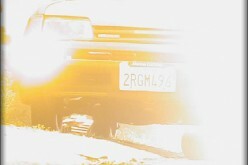 As you can see, it has a Honda face but a Prius tail, an interesting combination for this five passenger four door sedan. Fuel mileage hasn’t been determined yet, but figures north of 50 mpg have been mentioned, better than the Prius. What’s more, the Honda Insight’s starting price will be in the $19K range, some three thousand dollars less than the Prius. For college grads who snag their first job and are looking for a new, affordable, and environmentally friendly car, the 2010 Honda Insight offers all of that and more. Toyota has has some problems meeting demand for the Prius, so the Insight is good news for people who have been shut out due to lack of availability. Honda has a plant in Japan where they plan to produce 200,000 units annually with half of those models headed to the U.S. market. Additional details about the 2010 Honda Insight will accompany the car’s official debut at next month’s auto show in Detroit. Adv. – If you’re shopping for an auto loan, you’ll want to compare offers and find the auto protection you need to ensure that your investment lasts for many years. Prepare Young Drivers For Winter’s Fury Now! Hey, Dad! Where is the Spare Tire? Swine Flu: Prepared or Panicked?